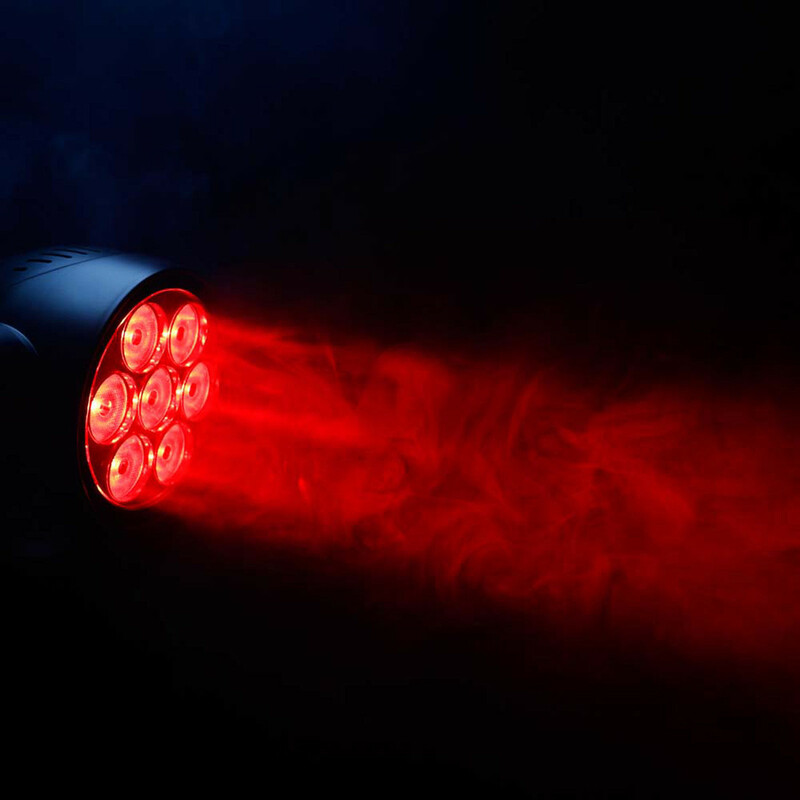 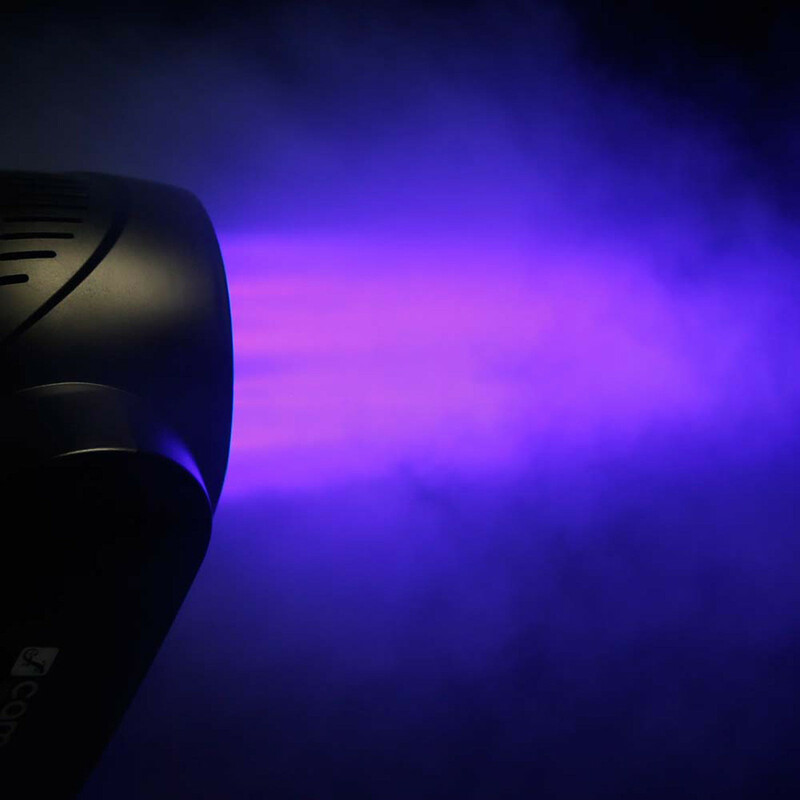 The Cameo AuroBeam 150 is an ultra-fast moving head with unlimited pan and tilt movement, 16-bit resolution and flicker free operation due to the 3600Hz refresh rate. 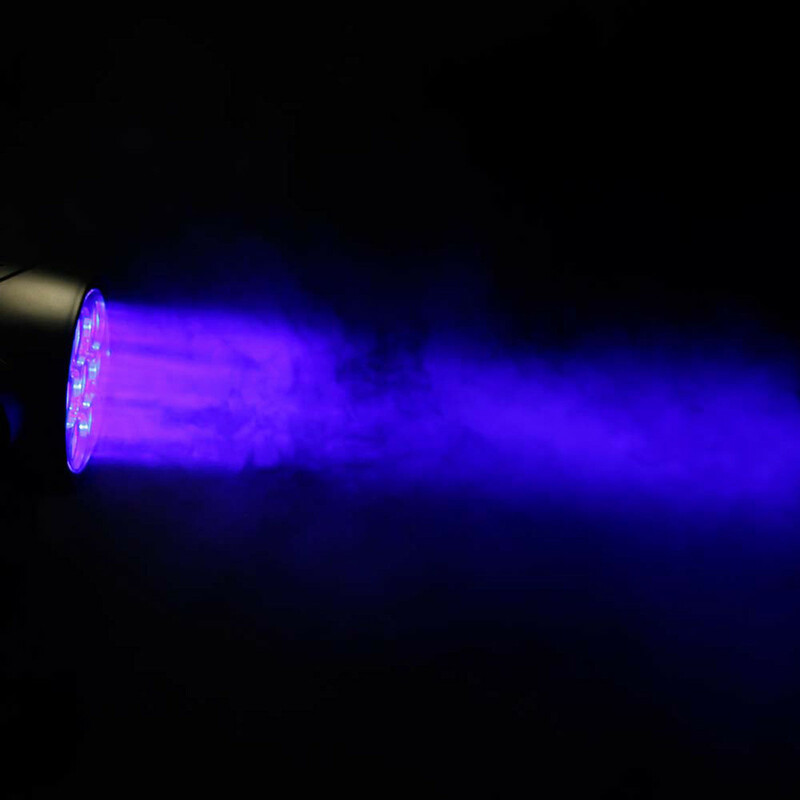 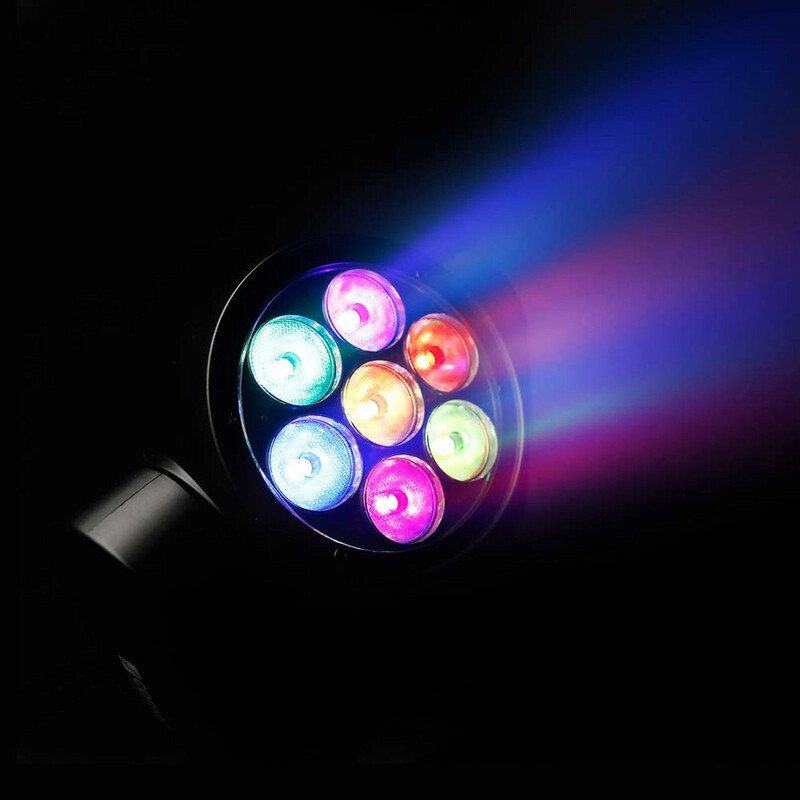 Featuring seven 15W RGBW LEDs with a 12° beam angle and a light intensity of 50,000 lux; the AuroBeam 150 provides rich saturated colours, subtle pastel shades and vibrant shades of white. 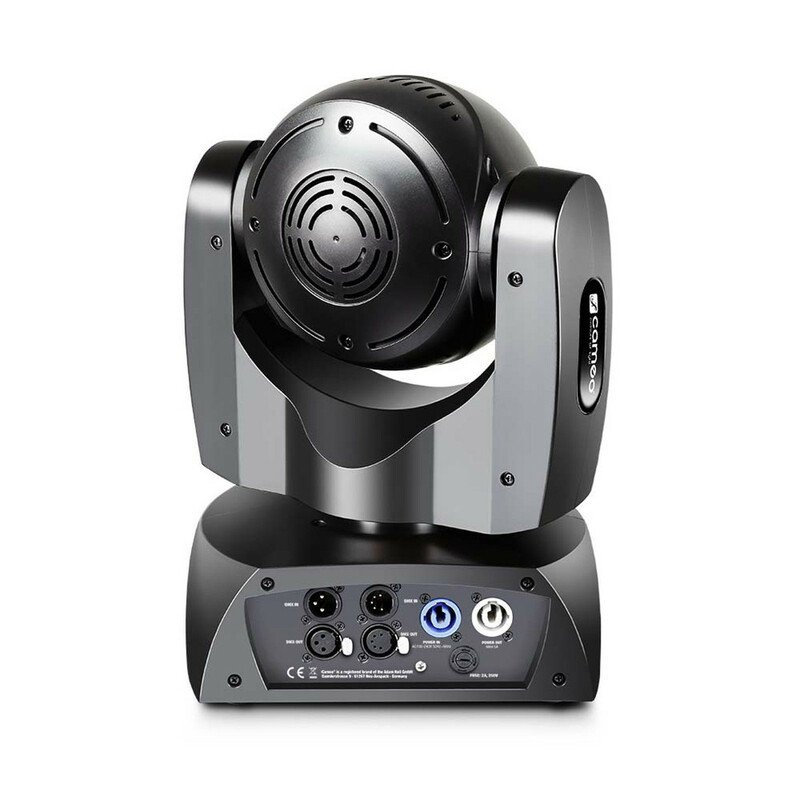 This moving head is equipped with extensive professional features such as PowerCon mains connectors from Neutrik and both 3-pin and 5-pin inputs and outputs for the DMX signal. 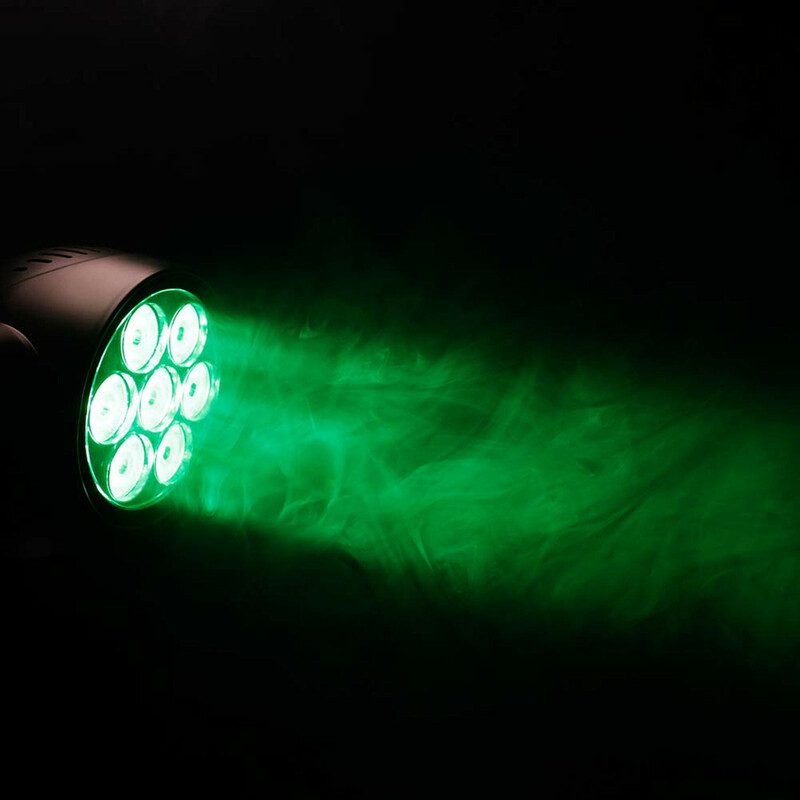 Complete with a rugged black metal and ABS housing, the AuroBeam includes 6 buttons and a backlit display for easy operation. 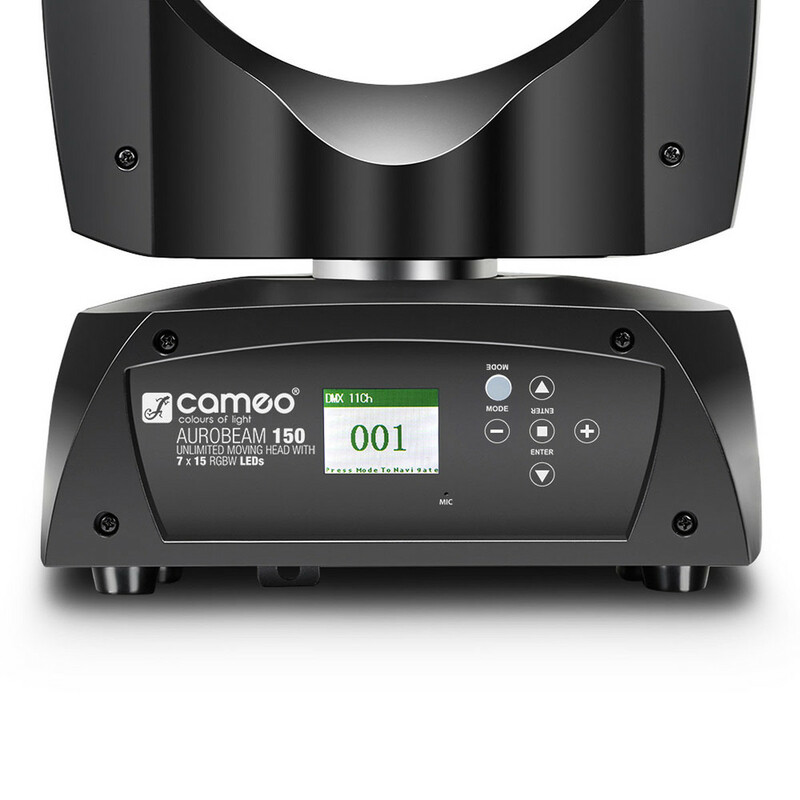 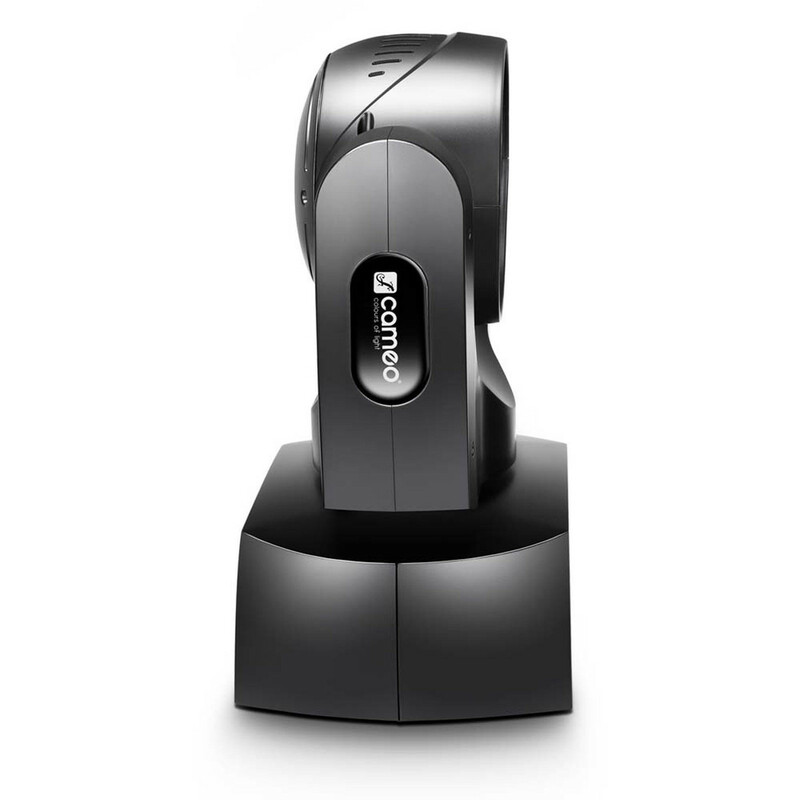 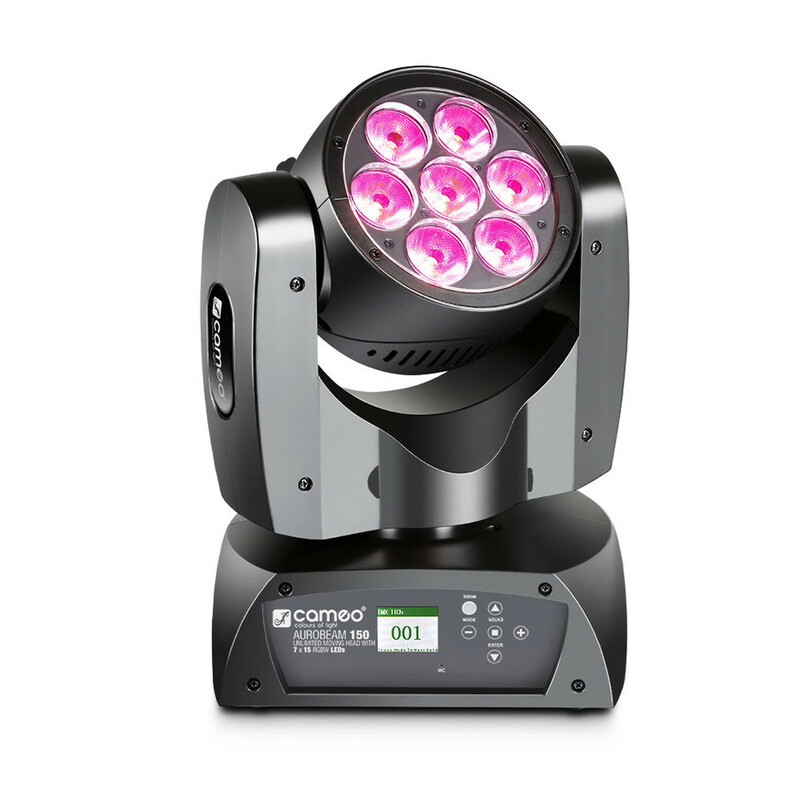 The Cameo AuroBeam 150 can be operated automatically via the programmable scenes or music, or used in standalone mode and master or slave mode. 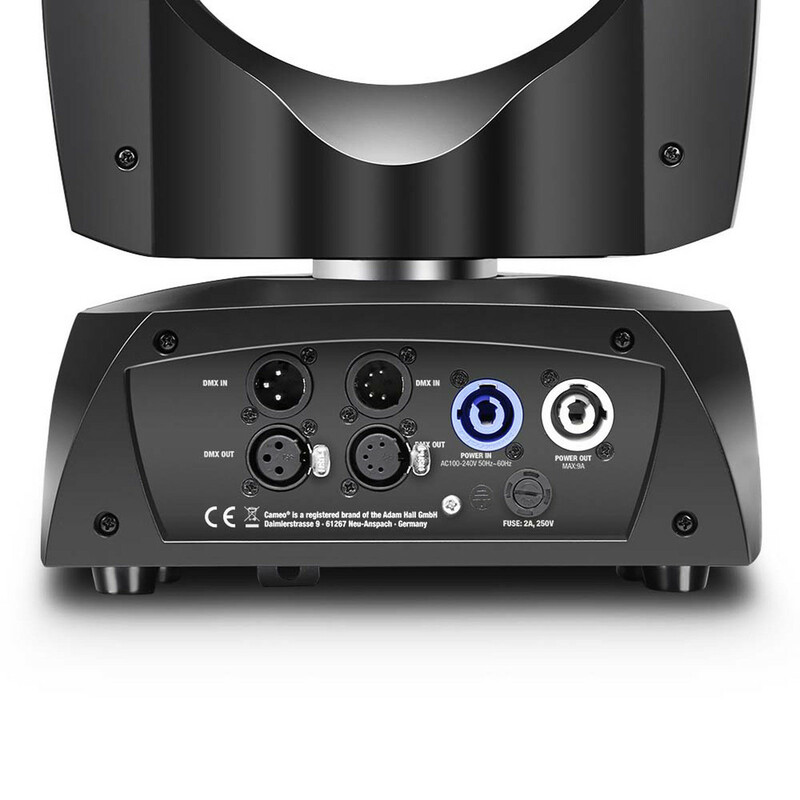 When using the DMX, 5-channel, 11-channel, 19-channel and 41-channel control modes are available, along with several other dimmer and strobe functions.